I was a teacher at Dealey Montessori school before launching my real estate career, so I can appreciate the power of education. After working with the families of many clients who were moving for the last time, and after watching my own parents downsize, I realized there was a need for extra sensitivity, knowledge, and instruction. The regular Realtor training just wouldn’t do. In 2005, I investigated the Society of Certified Senior Advisors and decided this was the training that would benefit my clients the most. It was very intense and gave me a great overview of the needs this demographic and their families faced. It also led me to other caring professionals in areas outside of my expertise to whom I would feel comfortable referring clients if they needed other services. I wanted to equip as many families as possible with this valuable information. But I realized this was going to be quite an undertaking, given that the adult senior market has quadrupled in recent years due to the Baby Boomers reaching retirement age. So I teamed up with another caring and experienced agent, Caroline “CC” Allen. As the Senior Lifestyle Specialists, we have put together a network of other Certified Senior Advisors and highly vetted organizations to service our clients. Too many families have been taken advantage of in these precious years, so we want to make sure we work with individuals who have the highest level of integrity and whom we would trust with our own parents. I take the motto to heart. Each home is distinct and special to the owner. I find it to be a great treat to bring out and highlight features that the owner loved and cherished. I’m not just an agent who helps clients buy and sell homes. I walk them through the entire journey, simplifying what may otherwise be an emotional, complicated, and overwhelming task. At the end of the day/transaction, my goal is to leave them feeling overjoyed! Angela McCants was featured as the CSA Spotlight in the March Senior Spirit Newsletter. For many people pets have become an integral part of their lives, even more so for older adults. Yet, as we age, our pets can present challenges. What happens if you move to a senior-living facility? What if your pet(s) outlive you? Fortunately, there are solutions. For many people pets have become an integral part of their lives, even more so for older adults. With children grown and gone, our pets become our constant companions, especially if we live alone. We form bonds with our pets—whether cat, dog, bird or something else—that aren’t easy to break. Yet, as we age, our pets can present challenges. What happens if you move to a senior-living facility? What if your pet(s) outlive you? Fortunately, many people are facing this issue, so solutions are available, including pet sanctuaries and pet trusts. At the same time, an increasing number of senior-living communities are allowing people to bring their pets with them. It’s an acknowledgment that animals can play a role in keeping people healthy, both emotionally and physically. A Place for Mom offers a list by state of pet-friendly senior living communities . For those who want to adopt an animal but worry about outliving your companion, consider an older dog or cat. There are many good reasons for doing this, not least of which a more mature animal won’t take the time and energy of a puppy or kitten. 1. Safety. Is the facility licensed with animal control? When was the last inspection, and how was its evaluation? 2. Layout. How many animals are currently living there, and how big is the facility? Does it seem like a comfortable environment? Are there enough staffers to spend time with each pet? Or does it look—and sound—overcrowded? 3. Finances. Will the organization share its tax returns and other financial records? You need to make sure that the facility has solid financial footing, so that it doesn’t run out of funds. 4. Medical staff. Does the center have a dedicated veterinarian? How long has it worked with the vet? The facility should have a close and steady relationship with a particular veterinary group, so that the pets get a consistent standard of care. 5. Emergencies. What is the shelter’s emergency evacuation plan, and is it registered with local authorities? Should the pets need to be evacuated because of a fire or a natural disaster, the staff and local responders should have a plan in place. Pet retirement homes are designed for pet owners who want to make sure their pet is taken care of after they pass on and don’t have a trusted caretaker for their animal. Some of the animal sanctuaries would be the envy of any retirement-community resident. At the Bide-A-Wee Golden Years Retirement Home on Long Island, New York, cats perch on window seats in a greenhouse or use the outdoor area for exercise. To keep them comfortable, machines purify the air, and radiant floor heating ensures their paws will never be cold. Any time Fluffy doesn’t feel good, she has access to full-time health care. For this eternal care, pet owners pay a $10,000 enrollment fee to guarantee their pets’ placement and then set up an endowment to cover future costs. Some sanctuaries base their fee on the cat's life expectancy, while others have a set fee. Some homes shelter only cats and dogs, while others include various pets, such as birds. There are some drawbacks to pet retirement homes. One is that pets may suffer from being in confined spaces (especially those who previously had more room to roam) and may not do well without one-on-one human contact. Also, it’s possible that the organization may suffer financial problems or staffing shortages, so you’ll want one that is well established. Finally, the number of pet retirement homes is small, so it can be hard to find one. A more popular method for ensuring your pet’s care after you’re gone is a pet trust, a relatively recent development. A pet trust legally provides for the care and maintenance of one or more pets in the event of the owner’s disability or death. Unlike a will, which takes effect only after the person has died, a trust can be used either during a person’s lifetime or after their death. The trust usually involves two people or institutions. The first is the person you select to be caregiver for your pet when you are no longer able. Second is the trustee who manages the trust, allocating funds to the caregiver and making sure the terms of the trust are kept; for example, ensuring that the caregiver is taking your pet for regular veterinary check-ups. You also need to name a beneficiary who would receive any remaining funds not used by the pet trust; this can be the caretaker or an animal welfare organization, for example. Depending on the state in which you have the trust, it can be in effect for the rest of the animal’s life or for 21 years. Because some animals, such as horses and birds, live longer than 21 years, the first option can be advantageous. Not all states allow pet trusts. The ASPCA provides a Pet Trust State Law Chart that lists states with pet-trust laws. Pet trusts can be set up through an attorney or you can use an online form. The ASPCA teamed up with Legal Zoom to provide a template for a Pet Protection Agreement. Choosing a caretaker is the most important decision to make, because this person will be responsible for your pet’s day-to-day care. Experts advise that you make sure to ask the person beforehand if they want to assume this responsibility and to name an alternate in case your first choice can’t take the pet when the time comes or is later unable to care for the pet. Once you decide, stay in touch with the designated caregivers and alternates to make sure their circumstances haven’t changed and they are still able and willing. If you don’t have friends or family willing to be caretaker, your local humane society or other animal welfare organizations may be willing to help place an animal, but they need to be contacted before setting up the trust to make sure this is a role they can undertake. NB Pet Trusts provides a list of sanctuaries across the country that will take the responsibility of finding your pet a loving home for a donation or fee. Because NB Pet Trusts has not investigated any of these sanctuaries, it strongly recommends that you carefully evaluate any organization you might designate in your pet trust. Estimating needed funds: The appropriate amount to leave in the pet trust varies widely, depending on the pet’s age and condition, but you should include food costs, vet bills and costs of administering the trust. Experts warn against setting a figure that’s unreasonably high because this often triggers lawsuits by resentful family members. Lastly, if you worry about outliving your pet and want to get a new companion, consider adopting an older animal. 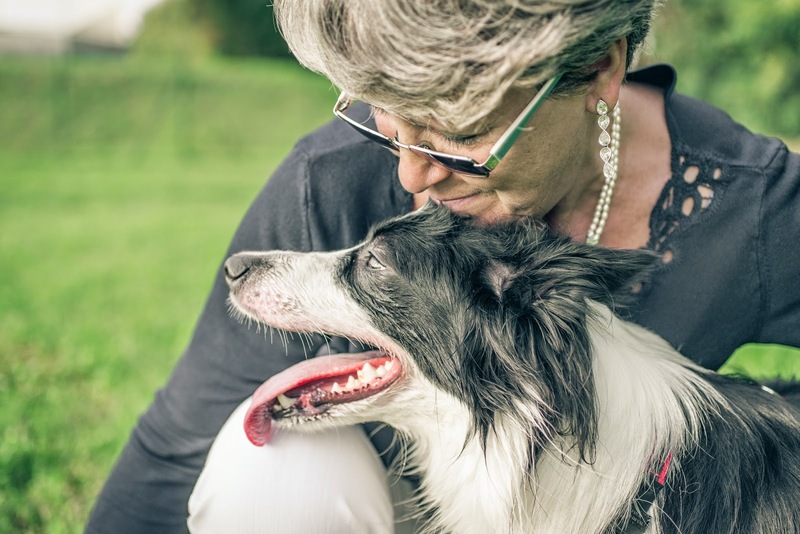 The Senior Dogs Project, which works to encourage and facilitate their adoption, lists good reasons to prefer an older pet companion (and could apply just as well to cats or other animals). Older dogs are housetrained, won’t chew through your shoes and furniture, and can focus better and learn more quickly, including what “no” means. Unlike a puppy or kitten, they don’t require your full attention, they know how to get along, how to give you some alone time, let you get a good night’s sleep and recognize when you need some comfort. The Problem with Pets was the featured in the March Senior Spirit Newsletter. As a senior now myself, I am able to see life as a song, with each experience and each relationship being melodies intricately interwoven into our own masterpiece composition. Twenty years ago, two friends and I co-founded Bessie’s Hope as a legacy to my grandmother. Because of driving down to spend day and night with her in a Texas nursing home, I recognized that communities need to reach into the nursing home world and embrace the elders, who statistically speaking, are largely the “forgotten” population in our culture. Co-founders, Sharron Brandrup and Marge Utne, joined me in my passion, and we created a nonprofit organization, whose mission is to enhance the lives of nursing home elders and to bring generations together in mutually rewarding relationships through honoring the human spirit and by providing life-enriching volunteer opportunities for youth groups, families, individuals, businesses and civic organizations. Youth and adult volunteers receive our training, which provides education and communication skills that enable them to have meaningful interaction with elders of all levels of cognitive functioning, including those with advanced Alzheimer’s Diseases. All our programs are of the highest quality and integrity, with group visits being organized and structured to provide the fertile ground for the cultivation of beautiful relationships between the elders and our volunteers of all ages. Our largest number of volunteers is that of youth participants, from preschool to high school and college. A very high percentage of our youth come from “at-risk youth” organizations and residential treatment centers for troubled teens. Respect, compassion and the art of listening are alive and well in the intergenerational work of Bessie’s Hope. The at-risk youth, like the elders, need to feel valued and needed. Through participation in Bessie’s Hope, both age groups receive the recognition of their value. Both populations also experience a sense of purpose. Our goal is to have affiliates in other states. Bessie’s Hope is the only organization with the focus that directly impacts this statistic. My “song” continues to be embellished by the melodies of elders. My life continues to be blessed by the presence of elders. Rewinding 68 years, my mother married right after high school, and a year later, learning he was going to be a dad, my Marine father decided that was not for him and left to go back to active duty. Throughout my formative years, it was as though I had two mothers, thus, the very close relationship with my grandmother. Fond early memories include being on the next door neighbors’ porch, where the elders played dominoes, talking to my great-grandmother, and church on Sundays, where elder women were my teachers. While in high school, I began singing and playing musical instruments professionally in a band that performed in Texas and neighboring states. That continued through college, earning my Music Education Degree, then—“on the road.” For over 25 years, I made my living as a professional musician, performing with bands and duos and as a piano bar entertainer at reknowned venues, such as The Stockyard Restaurant in Nashville and Pat O’Brien’s in New Orleans. I also added traveling throughout the country to present “Healing with Sound and Music” workshops. Performing, composing, studying, teaching---life was all about music--- yet, there were always elders and nursing homes beckoning, as part of my “song.” Wherever I was, I volunteered as a musician in nursing homes, and I inquired to find an elder who had no visitors, so I could “adopt” this person. This was a precursor to one of the volunteer programs of Bessie’s Hope. While finishing another degree in music to earn the credentials, Board Certified Music Therapist, my grandmother was diagnosed with Alzheimer’s Disease. This “pulled” me into a special focus with this population within my music therapy studies. This special focus also exists within the work of Bessie’s Hope. Educating volunteers about this disease and assisting them in feeling comfortable and confident in relating to those who have the disease is a priority within Bessie’s Hope. Then, while working on a Master of Humanities Degree, my grandmother had to be admitted to a Texas nursing home. One day, a very clear, yet inaudible voice began repeating, “Bring them together—the young and the old.” During this mandate from God, I could see our work unfold in my mind’s eye. My master’s thesis was a musical, for which I was writing the script, the music and the orchestration. Asking the committee for special permission, my Bessie’s Hope co-founder, Sharron, became co-writer of the musical, because the script and songs were about the work we had been doing. The musical is about a group of children who become friends with a group of nursing home elders… art imitating life. It has been produced only twice for three-week runs, but all audiences were captivated and moved to spontaneous standing ovations after each performance. It is still very timely, and I hope that it will soon have a life of its own. My “song” has always been embellished by the melodies of elders. My life continues to be blessed by the presence of elders. I was thrilled to learn of the course of study to earn the CSA certification. It provided so much information, and it has enabled me to assist elders and family members of elders in life-changing decisions. I’ve been able to share the information with my own family and close friends. “CSA” fits so well with the Bessie’s Hope purpose of empowerment of the elders. Although Bessie’s Hope serves a few thousand youth and elders each year, and has for 20 years, it has been such a well-kept secret. This makes fundraising difficult, because it is not a large, well-established nonprofit. If you would like to be on our “e-blast” and “e-newsletter” list, as well as on our mailing list, please contact us. On April 2, our first event for 2015 will be “An Evening of Music and Magic, a great event! This year, we will also have our 3rd annual motorcycle event, stopping at Denver nursing homes, where the elders get to take a spin. In the fall, is our 12th annual Intergenerational Bowl-a-thon, with bowlers from 2 to 102! Do you want to be on a fun committee, a board member, volunteer in a program with the elders, or contribute financially? Linda Holloway was the featured CSA Spotlight in the February 2015 Senior Spirit newsletter. As older adults decide it’s time to move, one big issue is whether to rent or buy the next place they live. The financial issues are complex, but other questions are important, such as whether you still want to be responsible for home maintenance or rather spend your time traveling. A study by the real estate website Trulia concluded that buying a home would be cheaper than renting in the top 100 U.S. metropolitan markets if you take out a fixed, 30-year, 3.5 percent mortgage and stay in the home for at least seven years. Its calculations included the initial total monthly costs of owning and renting, including maintenance, insurance and taxes. One advantage in the homebuyer’s favor is low mortgage rates, while rents are currently high. In many cities young people are opting to rent for a longer time before buying a house, putting upward pressure on rental units. Of course, any calculations about whether it’s less expensive to rent or buy must consider the housing situation where you want to live. While housing prices on average have risen across the country, there’s no guarantee that the trend will continue or that it will be true for your region. On the other hand, getting a fixed-rate mortgage will lock in your payments, while rents will likely continue to rise. If you stay on your new mortgage for less than the seven years— the basis of the Trulia study’s calculations— you’ll see less of an advantage, due in part to the upfront costs of purchasing a home, like closing and moving costs. One financial planner says retirees generally shouldn’t buy homes unless they intend to live in them for at least five to 10 years. Besides the initial costs, you need enough time to recoup your investment if housing prices stagnate, although it will depend on whether the local market is appreciating. When you’re figuring out whether to buy or rent a place in retirement, much depends on your personal financial situation. Do you need to free up money to invest? Will you make a profit if you sell your house, and how much? How much money do you have in savings? If you make a good profit on your house and don’t buy another house of equal value, you’ll have money to invest. If your investments turn a profit, you could come out ahead by renting rather than buying. According to Vanguard, a portfolio made up of 50 percent stocks and 50 percent bonds delivered an average annual return of 8.3 percent from 1926 to 2012 (Forbes). Of course, there’s no guarantee that those figures will hold steady in the future. Another issue that could impact your general financial situation is the down payment required for a mortgage. If you sold your house at profit this is not a serious issue, but can be if you have to take money from your retirement accounts. Withdrawing money from a retirement plan also means you’ll lose the future tax deferral and might owe taxes (maybe even a tax penalty) when you take out the cash. Owning a home has several ongoing costs that can be calculated. They include insurance, property taxes and mortgage interest. Monthly rental costs can include the rent, utilities, parking fees, security deposits and rental insurance. Trulia has a rent vs. buy calculator that will let you plug in your own numbers to see which way the balance would tip in your case. AARP also offers a calculator that helps you weed through the fees, taxes and monthly payments to help you with the decision. Other costs that are not as easy to budget are maintenance costs, such as replacing refrigerators or dealing with plumbing or electrical issues, which are usually paid for by the landlord when renting. For seniors on a fixed income, major repairs, such as fixing the hot-water heater, can take a big chunk out of a monthly budget. Even smaller maintenance issues, like cleaning out the gutters or shoveling snow from driveways and walkways, can cost money if you can no longer do it yourself. Before deciding to buy another house, you might list all the small repairs you do around the house and yard and calculate how much you would have to pay a handyman to do those things. One alternative to buying a house is to instead acquire a condo or townhouse with a homeowners association (HOA), whose fees cover such things as trash, water, snow removal and exterior maintenance, although interior repairs are still paid by the homeowner. Renting also provides the freedom to take long vacations and not worry that snow is piling up in your driveway or if the pipes have frozen. Older adults who are single, especially women, might feel safer in an apartment complex rather than in detached homes. On the other hand, renting can bring its own source of insecurity if the landlord fails to renew your lease or the rents go up. Having a fixed mortgage may be preferable to the risk of having to move someplace else if the rental situation is no longer a good one. For pet owners, having your own home (and yard) means you don’t have to find an apartment complex that allows pets, especially dogs. A house also provides a yard for the pet as well as a place for those who love gardening. Some older adults might want to keep their bigger homes because they offer a place for children and grandchildren to visit. Staying in a neighborhood where you have friends and memories also can be important. As a homeowner, you have more maintenance and repairs to worry about, but you also have the ability to change your environment through renovation. 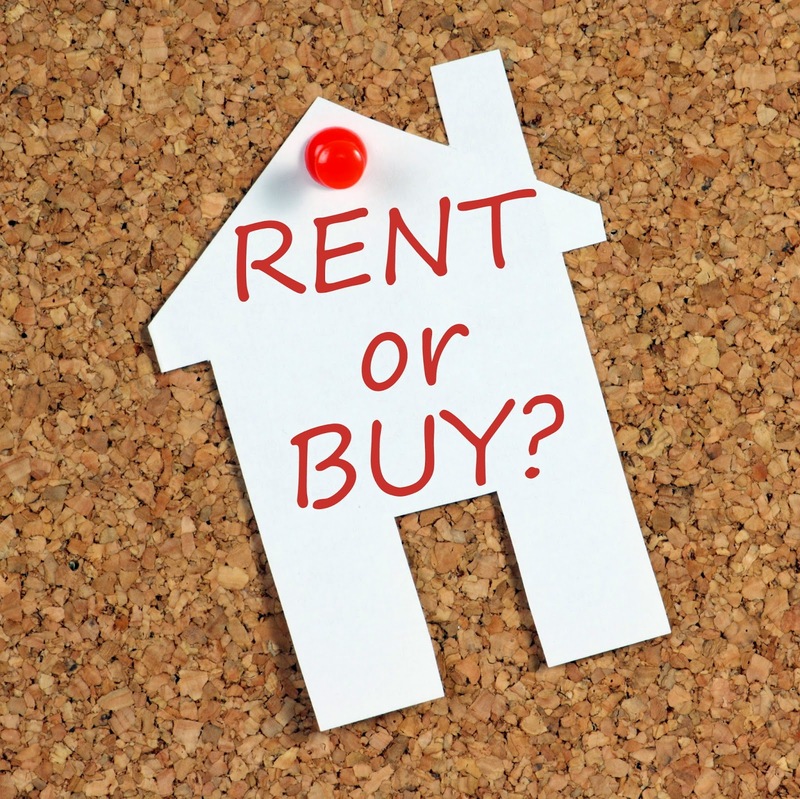 Making the Move: Should You Rent or Buy? was featured in the March 2015 Senior Spirit Newsletter. Vicky Hoover started hiking with her family in the Sierra Nevada Mountains of California in 1967. That experience awoke a passion for nature, and since then she has spent countless hours leading others into the wild, as well as working to save as much wilderness as she can. In the late 1960s, Vicky Hoover began leading backpacking trips for the Sierra Club in the Sierra Nevada Mountains of California. Forty years later, after leading countless outings and efforts to save wilderness, she was honored with a Wilderness-Forever Future Award from the Sierra Club. Born in Manhattan, Vicky found her way to California where she started hiking in the Sierras with her husband and young children in 1967. Soon, she and her husband Bill were climbing peaks and leading Sierra Club outings, starting with family-oriented burro trips. By 1981, she had climbed all 247 peaks in the Sierras, but soon extended her love of wilderness to Alaska, Utah and New Zealand. 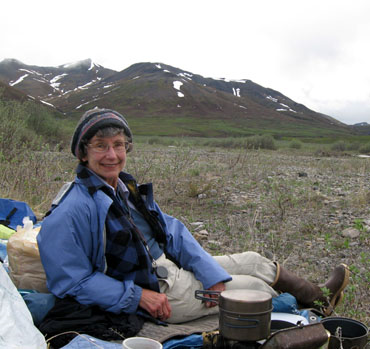 Vicky’s training as a wilderness advocate began in 1985 when she moved to San Francisco and took a part-time job at the Sierra Club office, where she learned the basics of wilderness politics, grassroots organizing and effective lobbying. She started out mobilizing people in the lower 48 states to support wilderness protection in Alaska, particularly the Arctic, and later worked to help pass the California Desert Protection Act, which designated 69 wilderness areas and created Death Valley and Joshua Tree national parks as well as the Mojave National Preserve. Her efforts succeeded in getting 14 counties to pass resolutions in favor of the bill. “Fourteen out of 58 may not seem like a lot,” she said, “but they were the counties with the majority of the population. They were the ones that counted” (from Great Old Broads for Wilderness). In the mid-1990s, Vicky worked to defeat the Utah Public Lands Management Act, viewed by many as an anti-wilderness bill. Her role was to set up volunteer phone banks, and the bill was defeated in 1996. After that success, she started the Sierra Club’s California/Nevada Regional Wilderness Committee, monitoring upcoming legislation for wilderness and new threats and management issues on already designated lands. In the wilderness excursions she leads, Vicky teaches participants about wilderness issues and advocacy, often involving some kind of service, such as removing invasive Russian olive trees near Utah’s Escalante River or building barriers in Nevada to protect wildlands from off-road vehicles. As a wilderness advocate, she has worked methodically over months and years, building relationships with sympathetic federal agencies and legislative staff. Of her ability to stay committed over long periods of time, never appearing to get discouraged, Vicky says, “I don’t think of it as dedicating myself to a cause; the cause is not separate from me—it’s part of my life. It’s what I am” (from The Yodeler ). Fighting for Wilderness for 40 years was featured in the December 2014 Senior Spirit newsletter. Winter poses difficulties for older adults with the added danger of serious falls on ice and snow, a greater sensitivity to cold and increased isolation. But there are ways to weather the cold, snowy months and decrease the gloom and discomfort. But there are ways to weather the cold, snowy months and decrease the gloom and discomfort. Even small measures can increase your comfort level—on a practical level like making sure your car is winterized and, just as importantly, simple acts you can do for your body and soul. Maybe one of the hardest aspects of winter is asking for help. Many of us don’t want to admit we can’t do it all. It’s hard to hire or ask someone else to clear the driveway or drive us to the doctor, because it feels like we’re losing some of our independence. Yet it’s sometimes necessary to admit we can’t do everything we did when younger and that we are sometimes dependent on others. Asking for help can feel daunting, but the neighbor kid might be happy for the chance to make some extra money by shoveling your driveway, and you’ll make one of the church volunteers feel like they’re doing something good if they can drive you to the grocery store. About one in four people are susceptible to the winter doldrums, marked by fatigue and food cravings caused by biological changes. The more severe seasonal affective disorder, or SAD, affects 11 million Americans with more serious signs of depression (“Beating Winter's Woes,” WebMD). Both conditions are caused by winter's shorter days, which disrupt our circadian rhythm, or internal body clock. How severely each individual is affected is based on a combination of factors—geography, genetics and individual brain chemistry. “With SAD, the lack of sunlight causes the brain to work overtime producing melatonin, the hormone that regulates your body clock and sleep patterns and which has been linked to depression,” WebMD reports. “The farther north from the equator you live, the greater the risk you'll have some degree of winter depression.” For example, only about 1 percent of Florida residents suffer from wintertime blues compared to about half of those living in uppermost parts of the U.S. or in southern Canada. Sunlight hitting the eye activates a body clock that is similar to the system that controls seasonal breeding and hibernation in animals, according to psychiatrist Daniel F. Kripke, who conducted the world's first controlled study of bright-light therapy for depression in 1981, reports WebMD. This system is connected to our brain’s hardwiring for appetite, which might explain the reason for food cravings in winter. Make sure you have good snow tires. Keep an emergency travel kit in the trunk, including a snow shovel, blankets, flashlight, water and first-aid kit. Have your car winterized, which includes having the antifreeze, tires and windshield wipers checked and changed if necessary. Make sure any roadside assistance memberships are up to date. Heaters. It feels good to cozy up to a space heater for extra warmth, and the small portable units mean you don’t have to heat the whole house or apartment but only the room where you spend most of your time. Make sure, however, that you take precautions. When using a portable heater, plug the heater directly into an outlet, not to an extension cord. Make sure the outlet is not overloaded and wiring is not frayed. Keep the area around the heater clear of furniture, newspaper or other flammable materials and be careful to avoid tripping over cords. Using a fireplace, gas heater or lanterns can lead to carbon monoxide poisoning. Be sure to check the batteries on your carbon monoxide detector and buy an updated one if needed. To save money and keep your living space warmer, you can close off rooms you don’t use, such as spare bedrooms or basement or storage areas. You might also consider getting an energy audit, to see if insulating or repairing cracks will stop heat from escaping and cold from entering. Caulk windows, use weather stripping around doors and put rugs in front of doors you don't use. Storms. To avoiding running out in the middle of the storm (or bitter cold or icy conditions) for groceries, keep your pantry well stocked in winter. To be prepared for possible power outages, keep a supply of nonperishable foods like peanut butter, bread, cereal or apples—foods that don't need to be heated, and a nonelectric can opener. At the same time, check that you have flashlights and batteries (or candles), jugs of drinking water, a battery-powered radio, warm blankets and supply of needed medications. Warming the Body. Studies show that older people are more likely to have slightly colder body temperatures than younger ones due to a decrease in circulation as blood vessel walls lose their elasticity and the insulating fat layer under the skin thins. As people age, their metabolic responses to the cold may be slower (New York Times). Other factors that increase sensitivity to cold are hypertension, diabetes, high cholesterol and thyroid conditions; drugs such as beta blockers, which can reduce the circulation of blood to hands and feet; and calcium channel blockers, used in hypertension, which relax the blood vessels. All these factors make older adults more susceptible to hypothermia, and the loss of heat can quickly lead to unconsciousness and death if not stopped. That means that we need to dress more warmly than the 20-year-old who is outdoors in 30-degree weather wearing a T-shirt and shorts. According to the Centers for Disease Control, more than half of hypothermia-related deaths were of people over the age of 65. Don’t be afraid to look unfashionable. Bundle yourself up in layers of loose-fitting clothing; wear warm socks and hat, a heavy coat, gloves and scarf. Snow and ice. Health experts advise people over 65—especially those with a history of high blood pressure and heart disease—to avoiding shoveling snow. The combination of strenuous work and blood vessels constricted by the cold air raises the risk of heart attack. More brittle bones as we age also increases the danger of falls, which is a leading cause of death from injury in men and women over the age of 65. Ask your health-care provider if it's safe for you to shovel snow or do other hard work in the cold. If you need to be outside, make sure you wear shoes with good traction and nonskid soles, and consider using ski or hiking poles for walking when it’s slick or snowy. Back inside, remove your shoes because often snow and ice attach to the soles and, once melted, can lead to slippery conditions inside. A newer product on the market is ice cleats or grippers, a combination of plastic and metal that slips over your shoes and provides traction on ice. The best known brand is Yaktrax. But be careful to remove them when indoors because they can catch on carpets and cause a fall. More sunlight. The shorter days, especially farther north, mean less sunlight, which is linked to seasonal affective disorder, or SAD (see sidebar, “What Causes SAD?”). Getting more sunlight helps alleviate SAD. Because it can be difficult for older folks to get outside in winter, you can use artificial light. Light boxes, or sun boxes, use special fluorescent tubes to simulate the sun's natural rays. For best results, use a light box daily, in the early morning, and for 30 minutes to two hours at a time. Just as important as keeping your car tuned and your body going is your mental and emotional state. Keep moving. Exercise is always a mood booster and more important in winter than ever, when our natural inclination might be to go into hibernation. You can sign up for yoga, swimming or other exercise classes at your local recreation center. If you can’t or don’t want to drive, many communities offer low-cost or free rides for seniors and the handicapped. Or you can stay home and do yoga with the help of a DVD or do some shuffling around the house to the tune of your favorite music. In any case, music is guaranteed to improve your mood. Take a trip. If you can’t afford a trip to Hawaii or Florida, or a cruise, sometimes just driving a few hundred miles south can make a difference in the weather. Or take a day trip to a museum or the next town over for lunch. Someplace like a botanical garden or indoor water park can replicate a bit of spring or summer. If you don’t want to drive, see if your local senior center offers day trips or longer trips. Get on the Internet. If you can’t get out in the world, have the world come to you through your computer. Find online discussion groups on topics you’re interested in (history or religion, for example) or take courses online. If you need to laugh, there’s no shortage of videos of cats and dogs doing funny things. Reconnect with old friends you haven’t talked to since high school, using Facebook or Google. Enjoy the indoors. If you’re stuck inside, make the most of it. If you like to cook or bake, make some stews, soups or cookies and share with neighbors, some of who may be similarly housebound. Invite a friend or neighbor over to play cards or Scrabble or do a jigsaw puzzle. Buy an assortment of teas or hot chocolate and a warm robe or blanket. This would be a good time to take on those household projects you’ve been putting off, like sorting through and labeling all your photos and sharing with family and friends. Build that model plane or ship that’s been sitting in a box for decades. To get spring started earlier, buy flower bulbs such as paper whites, amaryllis or tulips to put in indoor pots. Tackle a book you’ve always wanted to read. Don't Let Winter Freeze You Out was featured in the January 2015 Senior Spirit newsletter.